We made our catapult out of 4 by 4 inch wood and the frame is made of Popsicle sticks. The shooter is made of rubber bands put together and the thing to hold the ball is a bottle cap and the wheels are bottle caps. A catapult is a ballistic device used to launch a projectile a great distance without the aid of explosive devices particularly various types of ancient and medieval siege engines. 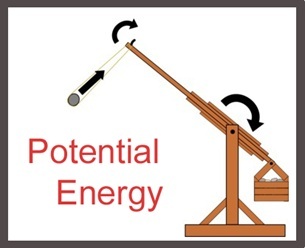 In physics, the kinetic energy of an object is the energy that it possesses due to its motion. It is defined as the work needed to accelerate a body of a given mass from rest to its stated velocity. 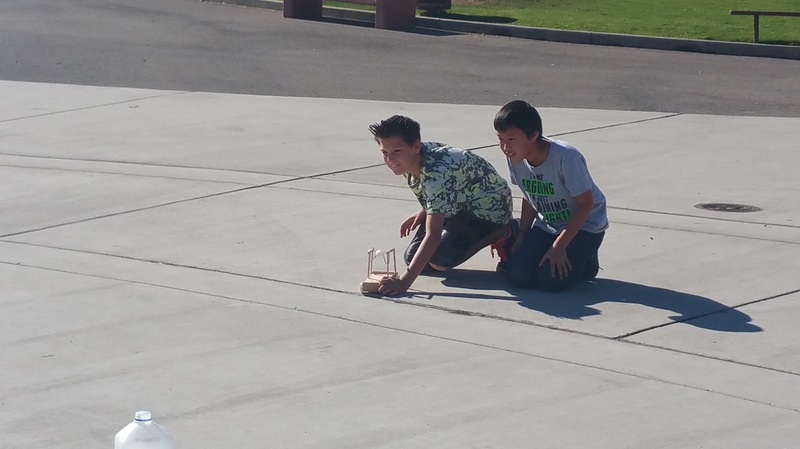 Kinetic energy is when it is release.Kinetic energy was in our catapult by release the rubber bands. 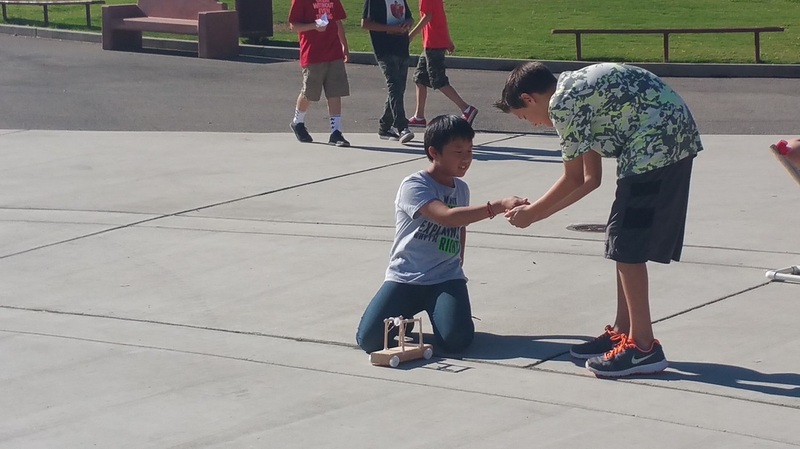 In physics, potential energy is the energy that an object has due to its position in a force field or that a system has due to the configuration of its parts.Potential energy is when the catapult is loaded.Potential energy was in our catapult by grab the rubber bands and pull it back. The history of the catapults are when Romes and others use to take down places. Catapults as siege weapons became ineffective in 885-886 AD rendered useless by new defense technology, but they still continues to be used in military operations. The last large scale use of catapults as a weapon delivery device was in World War 1. Catapults were used to throw hand grenades across No Man's Land and into enemy trenches. Unfortunately for catapults they were soon replace with small mortars. 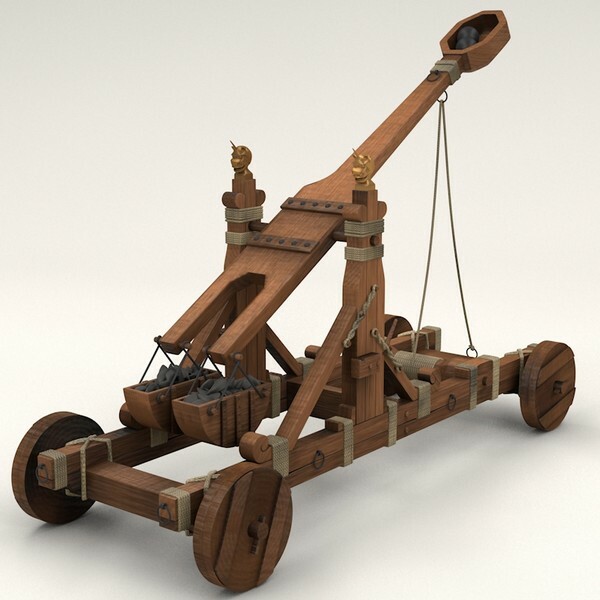 Now catapults are used in target practice to shoot clay pigeons in the air, to launch food at siblings, and the most common use to launch planes into the air. An aircraft carrier doesn't have the runway space to allow for a plane to accelerate to take off as it would on the ground so an catapult is used to propel the aircraft into the air in a very short distance.